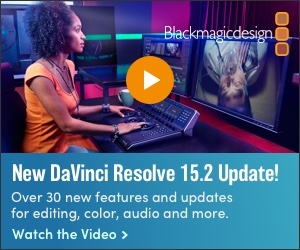 Leading-edge video productions often become laboratories for the use of new technology or current technology applied in new ways. Many times the new solutions are not so much experimentation for new ideas, but just efforts to solve workflow issues. Here are two articles that illustrate how the programs’ producers used tested technology in new ways to solve old problems. 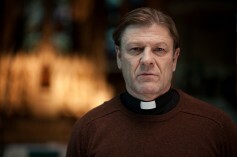 Sean Bean as Father Michael in Broken. Broken is a six-part TV drama series, created by screenwriter Jimmy McGovern that first broadcast on BBC One. In this special interview, Patrick Hall, Head of Post at Liverpool producer LA Productions explains the main post workflow. The annual three-day event drew thousands of horse-loving spectators, as well as a global online audience that watched the live webcast on Road to the Horse TV—thanks to technical service provided by Nashville, Tenn.-based mobile production company TNDV. The Broadcast Bridge is your most up-to-date resource for IBC 2017 news and advance information on company announcements and new products. Be the first to see the latest IBC 2017 new product and technology announcements. Search for product and company information by both technology and company. No need to wade through out-of-date information or products in which you are not interested. Products sourced to 90+ technology categories. Full company IBC 2017 stand numbers and corporate information on profile pages. Readers also can select to receive a custom daily or weekly newsletter. Your newsletter will be customized and contain the latest IBC 2017 new products from your selected technology categories.